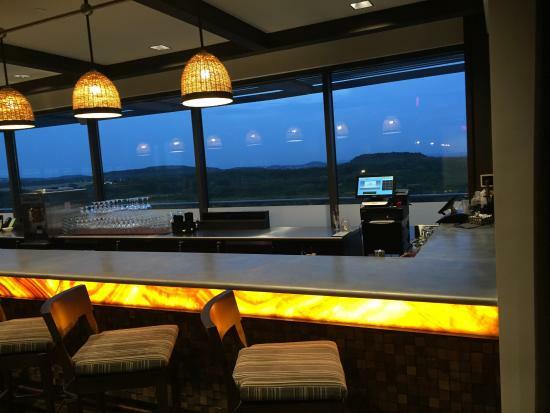 Overlooking the rolling terrain of beautiful Texas Hill Country, Royal Sonesta Bee Cave celebrated its grand opening in July 2015. The first grounds-up development for Sonesta in the country, Sonesta Bee Cave is located just 20 minutes from downtown Austin – Texas’ famed “Live Music Capital of the World” – and brings together the unique aspects of a contemporary aesthetic and an authentic Austin vibe. 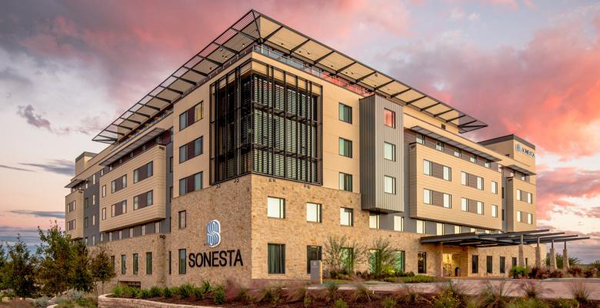 With the opening of each new hotel, Sonesta’s goal is to deliver a distinctive property that reflect a sense of place. Sonesta Bee Cave is located near beautiful Lake Travis, a reservoir on the Colorado River offering outdoor recreation to hotel guests from boating and swimming to fishing and zip lining. The lake was a key inspiration in developing the color palette and design of the Sonesta Bee Cave Hotel. 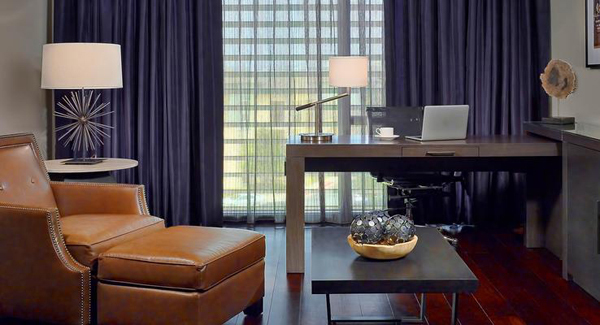 The architecture and interior design of the hotel were completed by Gensler. 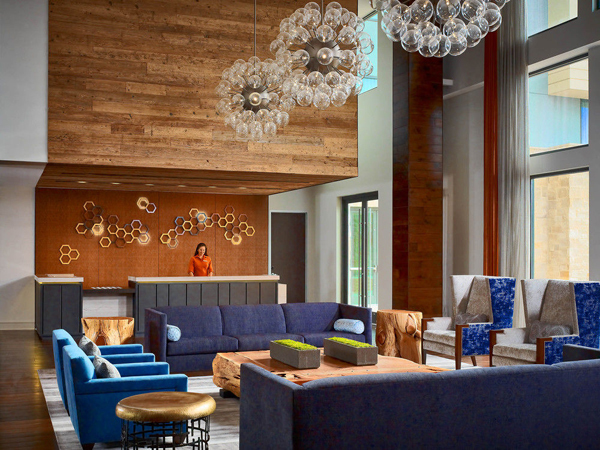 Natural rough woods, stone, and richly colored, textural materials were used throughout the hotel to reflect the natural beauty of the surrounding countryside. References to bees – from hive-inspired wall sculptures to skep-like light fixture shades – further enhance the sense of place. 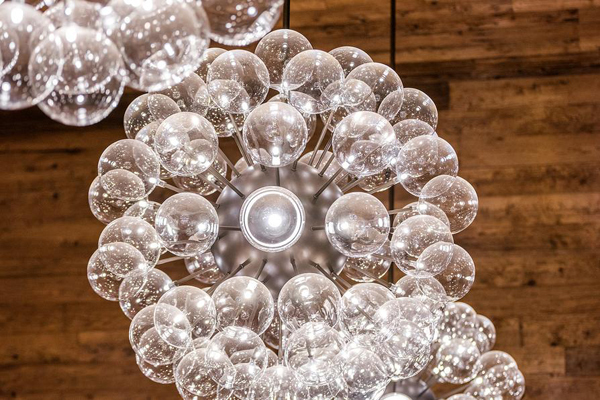 Royal Contract Lighting was commissioned to provide custom lighting for the hotel’s public spaces and guestrooms. 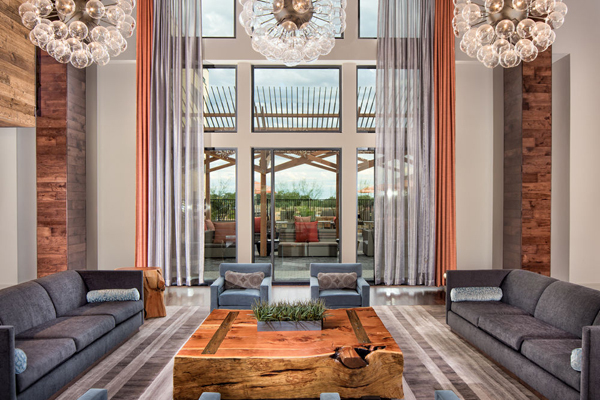 In the reception lobby, contemporary glass orbs float over a comfortable seating area anchored by a huge rough-hewn wood coffee table. 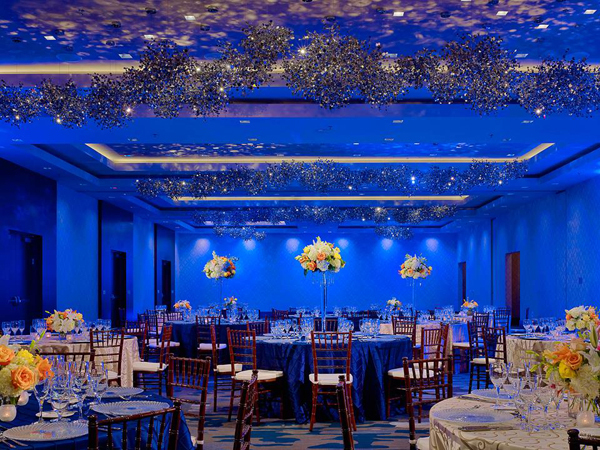 In the ballroom, sunburst orbs with thousands of tiny mirrors form glittering clouds that reflect light rays all over the ceiling. Meridian 98 restaurant and bar features hanging pendants with custom woven shades reminiscent of bee skeps. 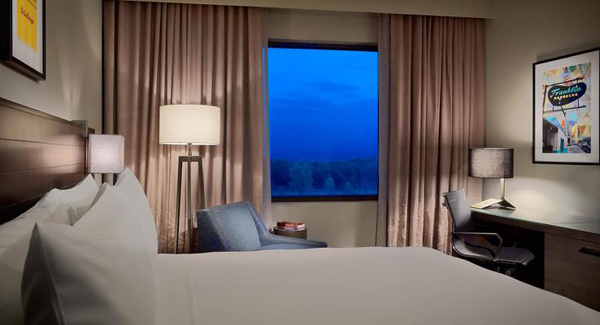 Royal Contract also supplied all of the contemporary lighting for the 195 guestrooms. 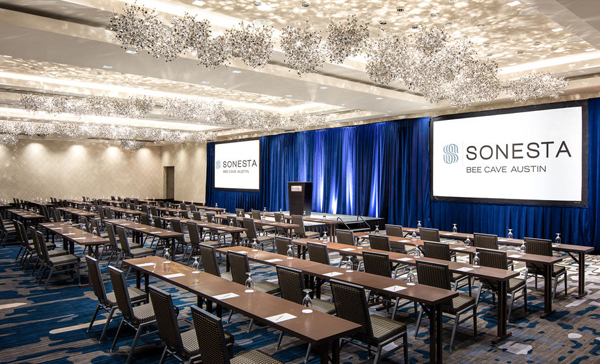 Adjacent to the High Country Galleria mixed-use development, Sonesta Bee Cave projects a distinct brand identity while connecting with the local community, culture and businesses.